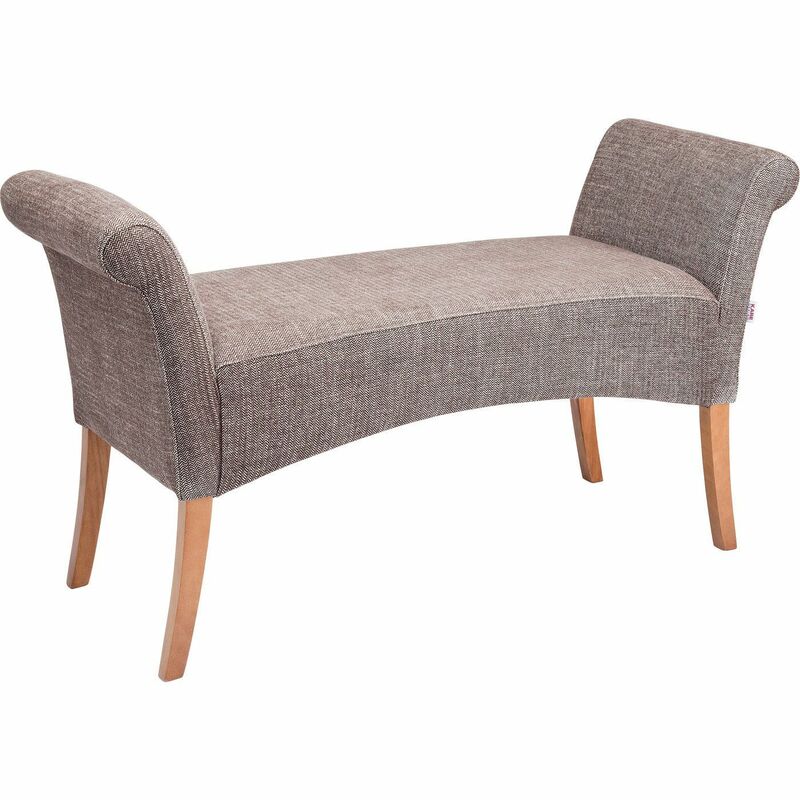 An upholstered bench with a delicate zigzag pattern small is beautiful... 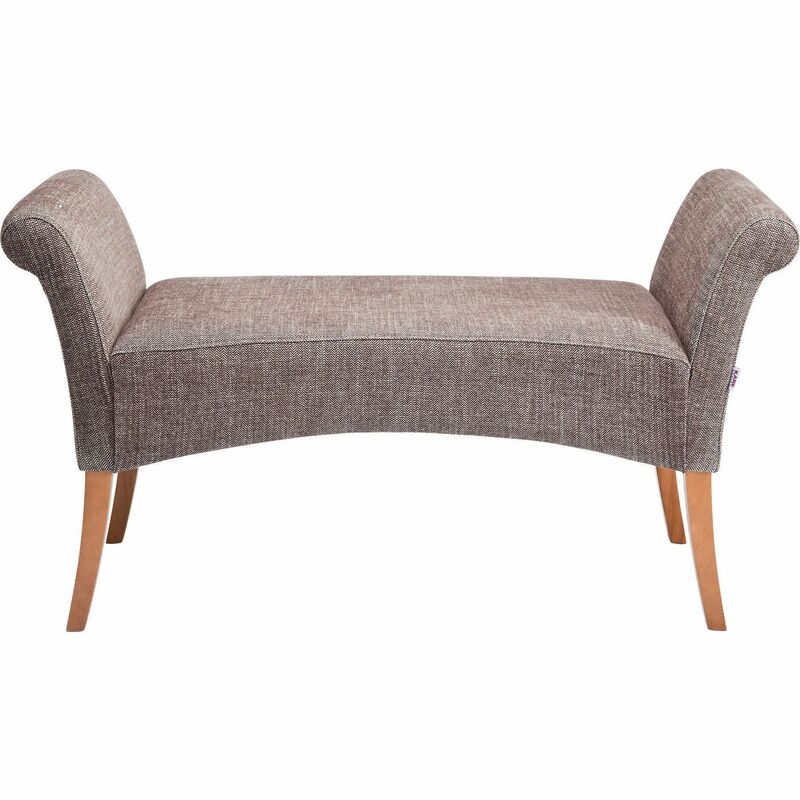 This upholstered bench makes a stylish impression with its curved armrests, cover made of soft material and attractive zigzag pattern. 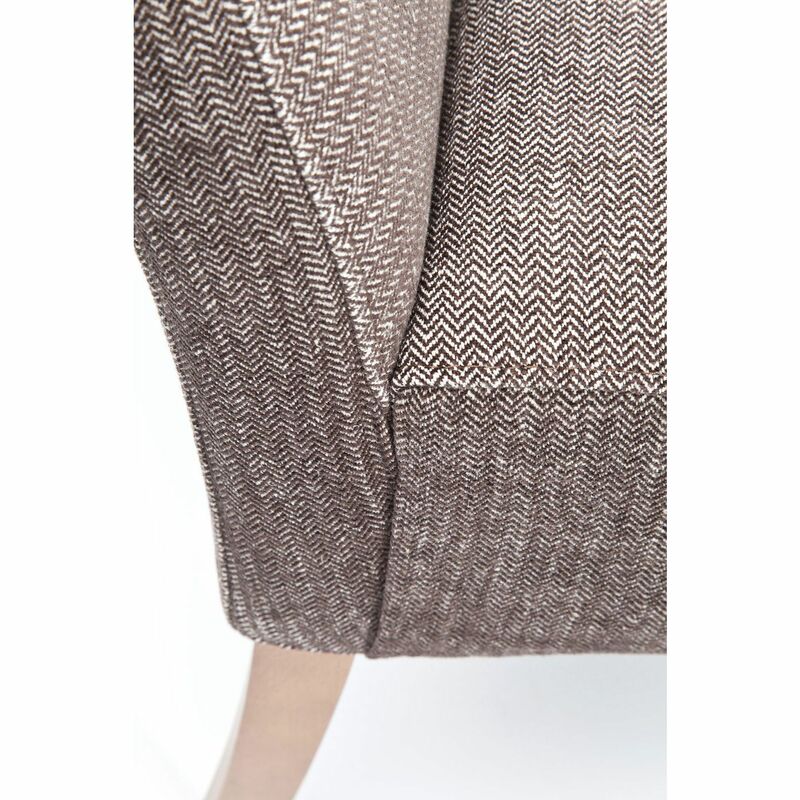 It's comfortable, looks good and is highly practical - all impressive arguments in its favour. 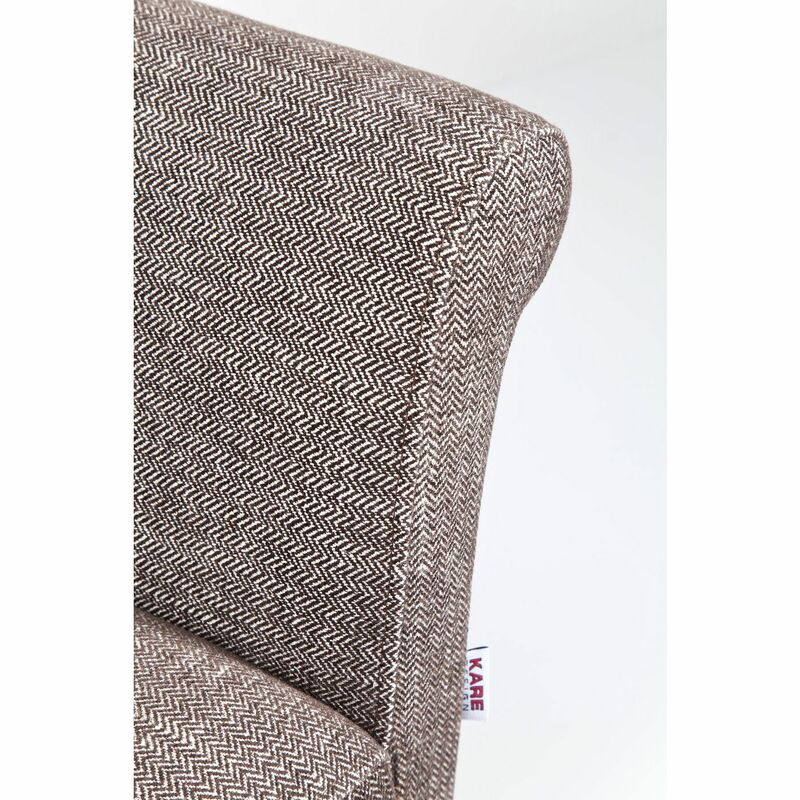 Thanks to its size it also fits in beautifully in small rooms, in the hallway etc., turning any space into a cosy corner. 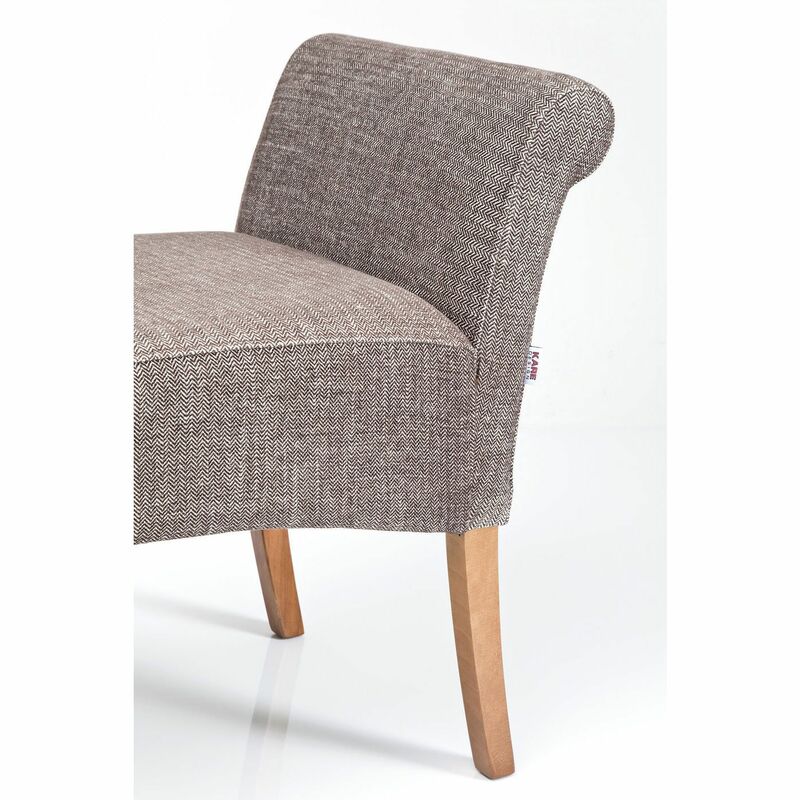 In addition the brown colour finish will harmonise with almost any surroundings. In addition to feeling great to the touch the soft cover with its subtle zigzag pattern makes an appealing visual impact. The Motley series contains many more articles featuring different designs.